On Labor Day, the final day of the 2018 regular season, the St. Louis Cardinals system went 1-3. Player of the Day Lane Thomas doubled, homered and plated three in Memphis’ loss. Results from the games played Monday, September 3rd. The Redbirds finished the regular season with a 6-5 road loss to the Sounds (72-68). Memphis (83-57), the American Southern Division Champions, will face Oklahoma City (LAD), winners of the American Northern Division in the best-of-five semi-finals which begins on Wednesday in the Dodgers’ park. The Redbirds will host games three through five (as needed). The visitors were up 5-2 with six outs to go but Andrew Morales (BS, 2) (L, 2-4) was unable to successfully navigate the eighth. The righty gave up four runs on three hits, a walk and a plunked batter in just 2/3 of a frame. Giovanny Gallegos retired his only batter, stranding Morales’ last runner. The first six frames were split evenly between Chris Ellis, Genesis Cabrera and Conner Greene. 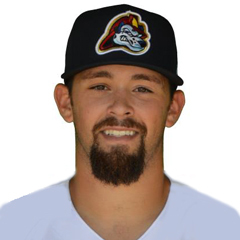 Ellis twice retired the side in order before handing off to Cabrera who struck out three and walked one during his two-inning Triple-A debut stint. But Greene could not keep Nashville off the board, yielding two tallies on three hits and a base-on-balls in the first of his two innings on the bump. Landon Beck worked around a one-out single for a clean seventh. Six Redbirds divvied up the team’s nine hits, led by Lane Thomas, Rangel Ravelo and Wilfredo Tovar who had two hits apiece. Both of Thomas’ hits went for extra bases, as the center fielder added a double to his sixth Triple-A home run. The bomb was a three-run shot with Tovar and Ravelo aboard. Ravelo went 2-for-3 with a double, run scored and an RBI as the designated hitter but was pinch hit for in the seventh. Tovar singled twice in five at bats, touching home once. Ramon Urias’ only hit in four at bats was a solo shot. The S-Cards ended a disappointing 2018 campaign with a 6-2 loss to Tulsa (40-29), winners of the second-half division title. Springfield (27-42) (60-79) lost six of their final seven games, including four in a row at season’s end. Home runs were the home team’s bugaboo as the pitching staff served up three, accounting for four runs. Half of the four tallies charged to starter Evan Kruczynski (L, 2-3) in five innings resulted from one bomb that was one of the four hits and four walks allowed. Ramon Santos pitched two scoreless innings, fanning two with a hit and walk given up before Roel Ramirez faced the minimum in the eighth. Seth Elledge was touched for two solo shots that put the Drillers up 6-0 with three outs to go. 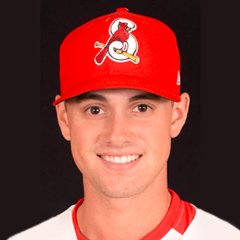 John Nogowski was responsible for the S-Cards’ two runs as the first baseman went yard with Johan Mieses (force) on. It was his only hit in four at bats. 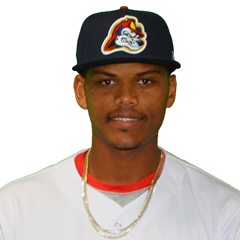 Jose Martinez and Evan Mendoza both went 2-for-4 with a strikeout, Martinez doubling once. Palm Beach, winners of the first half division race, take on second-half winner Fort Myers (MIN) for the South Division title in a best-of-three series. As winners of the first half, the Beach Birds had a choice of either hosting game one or games two and three and chose the latter option. Therefore, Fort Myers will be the site for Game 1 on Tuesday, September 4th, before the series moves to Roger Dean Stadium for Games 2 and 3, the latter if needed. The Chiefs fell to the River Bandits, 2-1, for a three-game road series sweep by the same team Peoria will face in the play-offs. The best-of-three series will begin at Dozer Park on Wednesday, September 5th. Jake Dahlberg (L, 4-3) was charged with the tough loss despite tossing seven strong frames. The southpaw permitted two runs on three hits and three walks while fanning three. Both tallies were generated in the same inning. Fabian Blanco hurled a one-two-three eighth. The Chiefs outhit their opponents, seven to three, but went 0-for-9 with runners in scoring position. While Yariel Gonzalez and Luken Baker had two hits apiece, the team’s only score came off Rayder Ascanio’s bat. Ascanio began the fifth with a home run, only his fourth long ball of 2018. Defensively, right fielder Gonzalez was credited with an outfield assist at home. A late unearned run lifted the Spikes over the Crosscutters, 1-0, for a two-games-to-one series win in their season finale. With each pitching staff dueling the other to a draw through seven, the game came down to a fielding error by Williamsport’s eighth-inning reliever. That miscue put Jonatan Machado aboard and advanced Cameron Knight (walk) to second. A single by Edwin Figuera jammed the sacks full with no outs before a 6-4-3 double play drove Knight in. Hector Villalobos picked up his second win in four decisions by tossing a clean seventh and eighth. Kevin Hamann worked around a single and two walks, one intentional, for his 10th save. Winston Nicacio pitched the first three innings, striking out four while allowing a hit and base-on-balls. Jim Voyles gave up a hit and free pass during his two innings on the bump before handing the ball off to Troy Montemayor. Montemayor gave up two hits and a walk but was aided by a caught stealing to keep Williamsport (PHI) off the board in the sixth.